Architecture made out of living trees requires not only using nature as it is but also shaping it to the required form. 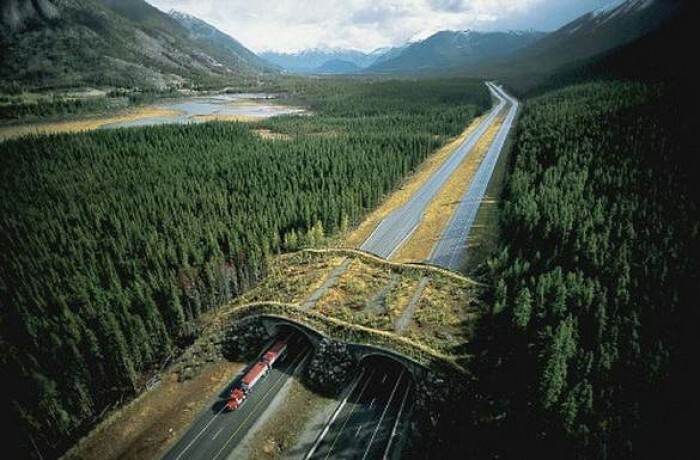 The first examples of using trees to create living structures are bridges across Asia. The Cattedrale Vegetale uses trees and branches to create a cathedral-like structure. The frame was completed in 2010 as part of the United Nations’ International Year of Biodiversity, but beech trees take decades to fully mature. Ice Stupa was invented by Sonam Wangchuk in Ladakh, India, and the project is undertaken by the NGO Students’ Educational and Cultural Movement of Ladakh. Ladakh is a cold desert and due to climate change, the region experiences hotter summers with increase in melts along with shift in the timing and precipitation of the melts. Subsequently, during the spring season water is more scarce which in turn impacts agriculture and food supplies. Ice Stupa is a form of glacier grafting technique that creates artificial glaciers , used for storing winter water (which otherwise would go unused) in the form of conical shaped ice heaps. In October 2013, Sonam Wangchuk created the first prototype of 6 metres (20 ft) Ice Stupa by freezing 150,000 l (40,000 US gal) in Leh without any shade from the sun. Water was piped from upstream using gravity. Electricity or machinery was not used for pumping water. The Ice Stupa did not melt fully till 18 May 2014, even when the temperature was above 20 °C (68 °F). Living Light is a lamp which harvests its energy through the photosynthetic process of the plant. As the plant photosynthesizes, it releases organic compounds into a soil chamber below. The organic matter is broken down by bacteria fostered through a microbial fuel cell. When this happens, electrons are created and transported away from the soil. The electric current is passed along a wire and fed into a ring fitted with LEDs. These light up when a user touches the plant’s leaves. Dutch designer Ermi van Oers and her team will start off with a small production in 2018. Plans are already in place with Rotterdam to illuminate a city park. Crown shyness (also canopy disengagement) is a phenomenon observed in some tree species, in which the crowns of fully stocked trees do not touch each other, forming a canopy with channel-like gaps. The phenomenon is most prevalent among trees of the same species, but also occurs between trees of different species. There exist many hypotheses as to why crown shyness is an adaptive behavior, and the most prominent theory, is that the gaps prevent the proliferation of invasive insects.